This study was designed to evaluate the possibility that a pattern of cognitive deficit is associated with delinquent behavior, while avoiding some of the methodological problems of previous research. The Self- Report Early Delinquency instrument and a research battery of neuropsychological tests were administered blindly to an unselected cohort of 678 13- year- olds. Because the diagnosis of attention deficit disorder (ADD) was found at markedly elevated rates in the backgrounds of these delinquents, the possibility was examined that the neuropsychological deficits of delinquents might be limited to delinquents with histories of ADD. Although delinquents with past ADD were more cognitively impaired than non-ADD delinquents, both groups scored significantly below nondelinquents on verbal, visuospatial, and visualmotor integration skills. In addition, ADD delinquents scored poorly on memory abilities. 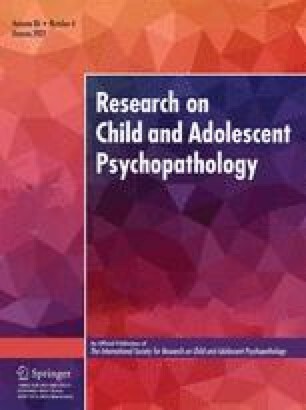 Subjects with ADD who had not developed delinquent behavior were not as cognitively impaired as ADD delinquents, suggesting that it is the specific comorbidity of ADD and delinquency that bears neuropsychological study. This work was supported by USPHS Grant 1 R23 MH-42723-01 from the Antisocial and Violent Behavior Branch of the National Institute of Mental Health. The Dunedin Multidisciplinary Health and Development Research Unit is supported by the Medical Research Council of New Zealand. Appreciation is expressed for the methodological advice of Prof. Sarnoff A. Mednick, and for the data collection efforts of Mrs. Pat Brasch, Mrs. Kathleen Campbell, Mr. Rich Poulton, and the psychometrists who administered the WISC-R.